A raw look at punk, young love and the sometimes cloudy road to adulthood. 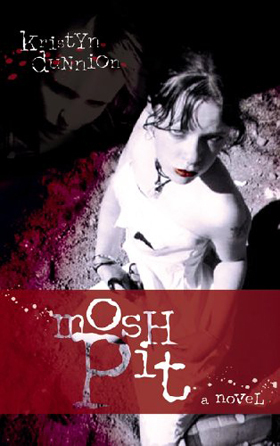 Mosh Pit, a compelling story of rebel girls in the modern city, stars Simone—torn between her loyalty to her rebellious heart-throb Cherry and her feelings for Carol, streetwise and distant enough to be alluring. This edgy young adult novel takes Simone through the modern equivalent of Hades—where drugs, drink and sexual ambiguity make for uncertain footing, physically, morally and emotionally. It’s a dark world where Simone gradually gains a sense of who she is and, more importantly, who she can be.